Home » Current Events » Shira’s Parents: Shira Opened Her Eyes! 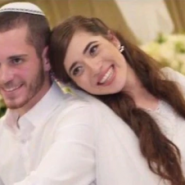 Shira’s Parents: Shira Opened Her Eyes! From a press conference earlier today (Monday) with Shira Ish Ran’s parents. All of Am Yisrael is indeed praying for her and her baby. Please keep us posted.